Today only! Planning to visit Argentinian Pagatonia a lot ahead will save you some decent money when taking advantage of this current Aerolineas Argentinas promotion from Madrid to various cities in high season such as to Ushuaia, capital city of Argentina province Tierra del Fuego, also known as the southernmost city on the Earth located on southern coast of the largest isle of South America. For same price you can also book return flights to El Calafate, Rio Grande or Rio Gallegos. You can also consider open-jaw flights which is perfect way to explore the country without need of returning back to origin city of arrival.Return flights with one layover in Buenos Aires would cost you already €504. Note that airports change in BA is required..Fare is including all taxes, onboard meals and hand bag. No checked luggage in base fare only available if you pay extra..Also adding fairly priced non-stop flights Madrid-Buenos Aires available for same price as to other cities in Argentina.. If interested in this offer you will find the cheapest flights when departing from Madrid to Argentinian Patagonia from 6th of January to 28th of February 2020. Min stay 5 days. Max stay 3 months. One free stopover available. Base fare does not include bag in hold. Fare class is “R“. Aerolineas Argentinas promo sale is running till 9th of April or until sold out..
We recommend you firstly compare the cheapest flights via Google Flights (Guide). The tool gives you almost instant result and you can easily browse throughout all the months. Promo tariff allows to build open-jaw ticket. For instance you can fly from Spain to Rio Grande and return from Ushuaia from €530. You can book your accommodation in an Argentinean Patagonia via Booking.com. Also you can further discount your hotel when using one of following promo codes. 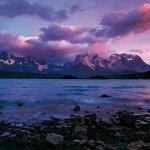 Booking sample of return flights from Madrid to cities in Argentinian Patagonia from €504 below. In this case you would be departing from Spain to Ushuaia on Sunday, 19th of January. Your return flight from this remote South American destination back to Europe would take place on Saturday, 8th of February 2020.